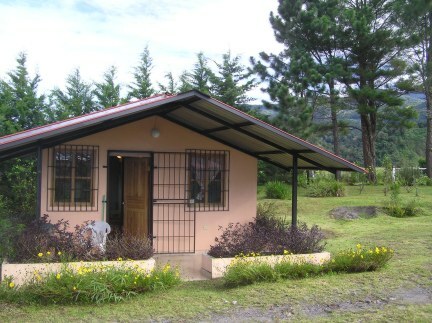 1 bedrom, 2 bathroom casita for monthly rental in the Nueva California area of Volcan. Stunning views to Panama's highest peak the 11,400 foot Volcan Baru. 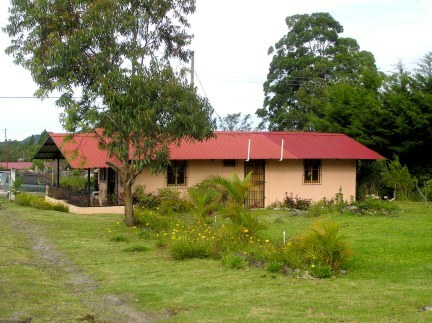 Freshly painted, the owner has redesigned the casita to make a spacious open living and dining area. 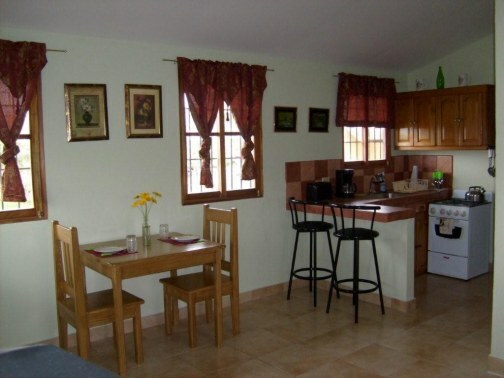 The casita features a cozy living room with a neat and functional kitchen. The casita is inside a secure gated area and is steps away from the main house. The master bedroom is spacious with both a full bed and a twin bed and has an ensuite bathroom with a shower, sink and toilet. 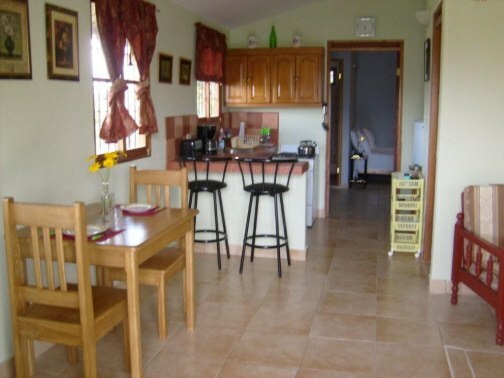 Owner's have redesigned the casita to make a spacious open living and dining area. 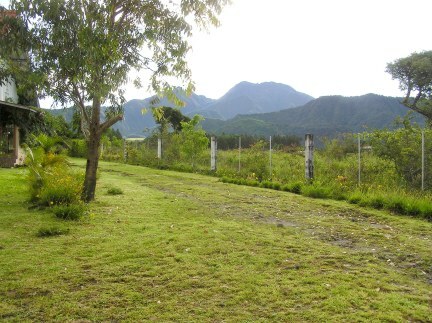 The town of Volcan is about 10 minutes walking distance away. The town features 4 supermarkets, 4 hardware store, 3 gas stations, 3 banks with ATM machines, doctors, dentists etc. There is an efficient and affordable ($1 a trip) local taxi service, so transportation is not a problem. There is a clear and unobstructed view from the front patio to the mountain. The sun rises just after 7 in the morning and the clouds swirl continously around the mountain. One thing is for sure, the stars at night will take your breath away - the lack of light pollution means the tropical night sky will be a source of joy throughout your visit. Rental rates and terms. 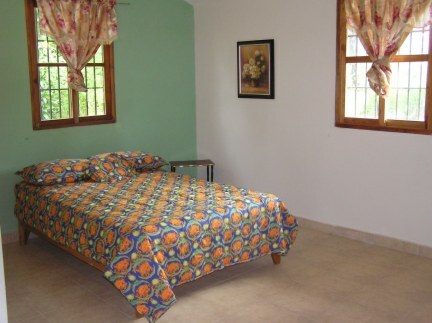 The rate is $450 per month including utilities and wireless Internet connection. 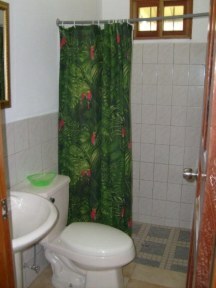 Rental term is a minimum of one month's stay and a maximum of six. A one month security deposit is required. This is a non-smoking, no-pet environment.